Interesting this is fully coated. Looks to have a very thick /C phosphor. I just got one like this off ebay. The phosphor on mine is very thick. 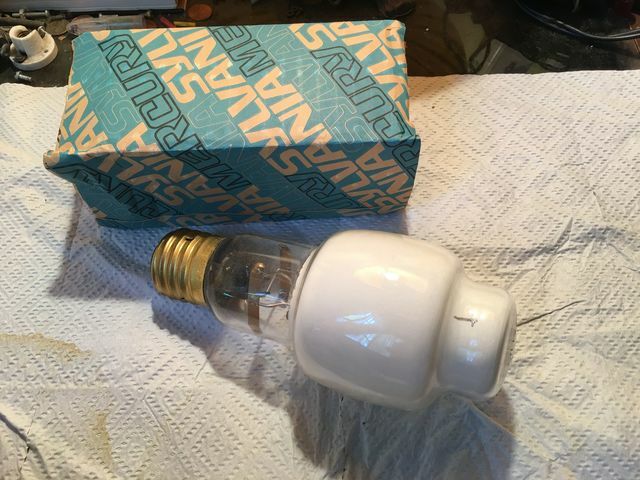 I didn't know Sylvania made fully phosphored BT-25 bulbs. Mine has a date code of "100" just below the wattage on the top. How does this look compared to the fully-phosphored Westinghouse /C when lighted?